COLUMBUS — The Ohio Legal Assistance Foundation (OLAF) Board of Trustees on Thursday installed three new members of the board and welcomed new officers. Joining the board are Judge Howard H. Harcha III, Ann Stirling Bergen and Stuart F. Cubbon. 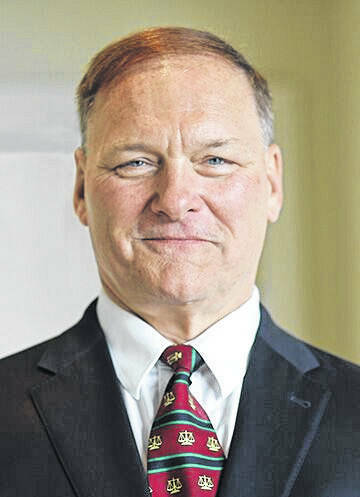 Judge Howard Harcha of the Scioto County Court of Common Pleas in Portsmouth is a member of the executive committee of the Ohio Judicial Conference (OJC). He serves as co-chairman of the OJC’s committee on community corrections, and on the Ohio State Bar Association Board of Governors. Bergen devotes a significant portion of her Willoughby practice to representing low-income families. In 2017, she received the Legal Services Corporation Pro Bono Award for commitment to pro bono legal services. She is a past chair of the Legal Aid Society of Cleveland Board of Trustees and currently serves on the development committee. Cubbon is managing partner and president of Cubbon and Associates in Toledo and is a Board Certified Civil Trial Advocate. He is past president of the Toledo Bar Association and serves on the board of the Law and Leadership Institute, a statewide pipeline diversity initiative for high school students from underserved communities. Judge William Klatt, Tenth District Court of Appeals, and Joseph Mas, ‎Joseph L. Mas Attorney at Law, were also re-elected as at-large members of the board for an additional three-year term. Secretary — Jennifer Day, chief of operations, Ohio Treasurer Josh Mandel’s Office.